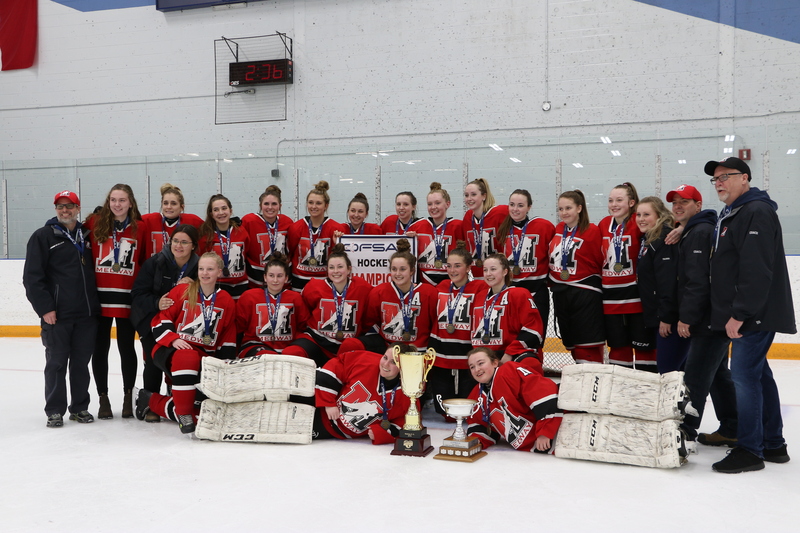 Medway Girls’ Hockey Repeats OFSAA Gold! 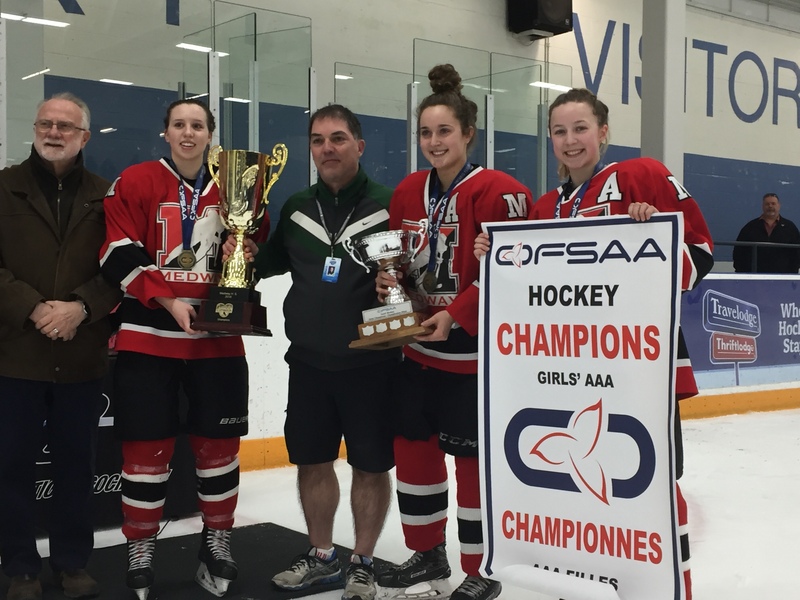 After an amazing season last year, with Medway’s first ever OFSAA Gold Medal, the expectations for this season were very high. 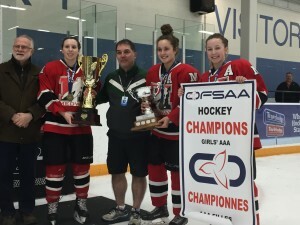 The girls battled lots of injuries, sickness and other commitments to win 17 straight TVDSB league and playoff games, and then won the WOSSAA Gold Medal game advancing to their 5th straight OFSAA appearance. At OFSAA, Medway finished pool play with 2 wins and a tie and advanced to the quarterfinal against the number two seeded Lawrence Park. In the final minute of play, with the score tied at 2 and while playing shorthanded, Medway blocked a shot and raced the length of the ice to score the game winning goal. Medway’s depth was then shown in winning the semi final 7-1. 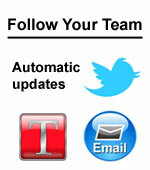 In the OFSAA final, Medway played St. Maximilian Kolbe, a team they tied earlier in pool play. 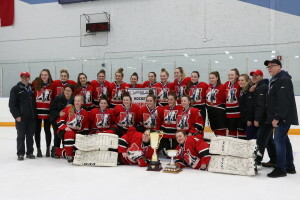 Medway won 3-1 to win their 2nd straight Girls Hockey OFSAA Gold Medal, and 4th OFSAA medal in 5 years.